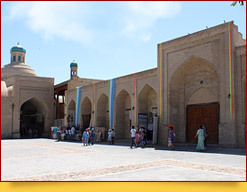 Among a great deal of sights, which decorate beautiful Bukhara, it is necessary to mention Nugay caravanserai in particular. This unique construction was founded in XVI century, when Muhammed Rakhimbiy Khan ruled here. 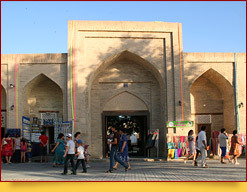 Nugay, which is currently one of the most famous historical places in Bukhara, is located in the very heart of the old town. 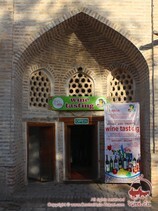 It stands near to the trade dome of Toki-Sarrafon and the House of Bukhara merchant. 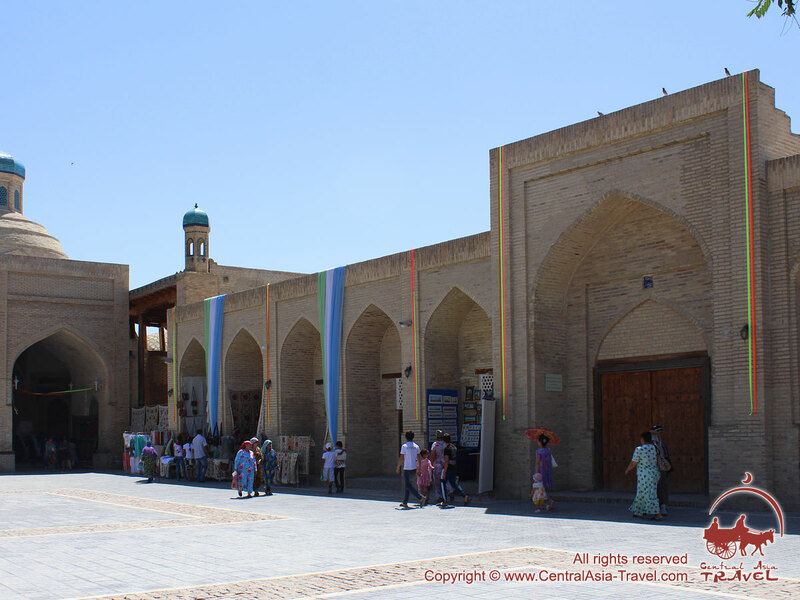 At those times building of caravanserais was an ordinary thing, and their meaning for single travelers and the whole caravans was really considerable. 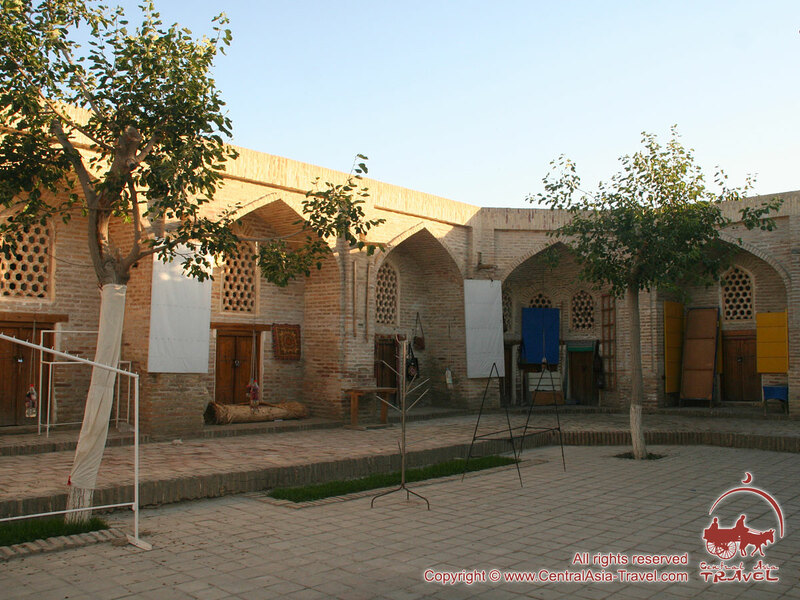 Under the canopy of trees, growing here, tired travelers satisfied hunger and thirst, and numerous rooms of the caravanserais were giving shelter and helpful rest. In caravanserais - ancient prototype of modern hotels - sometimes there was no tableware or bedding. Travelers had to bring meals for themselves and the animals also with them. Usually caravanserais could offer only shelter, and sometimes water. 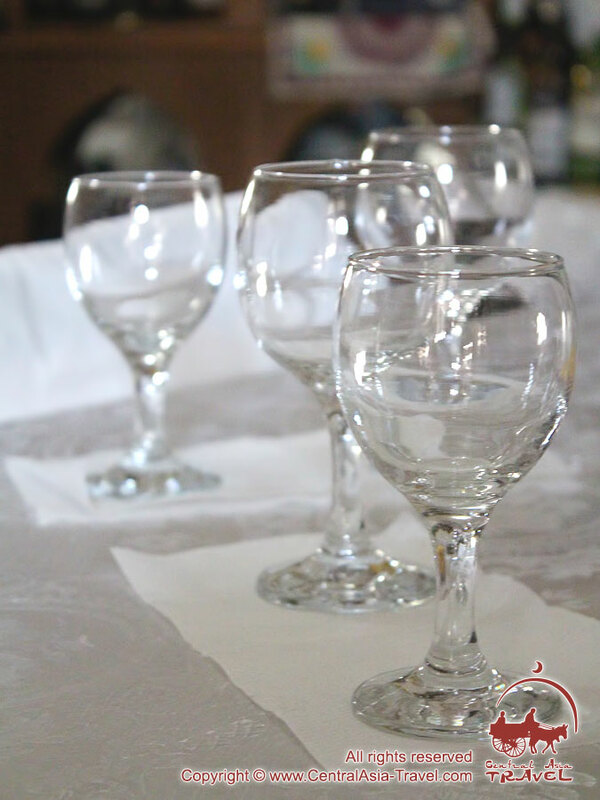 However, Nugay provided its guests with all the necessary conveniences. 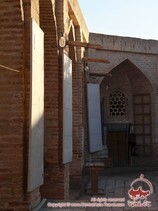 Nugay caravanserai is decorated in national style, and has a shape of closed square. Only one way - via the wide gates - leads inside. One-stored brick building, which seems small from the first sight, has a good capacity, in fact. It includes 45 rooms for guests’ rest, and a number of working space and rooms for servants. 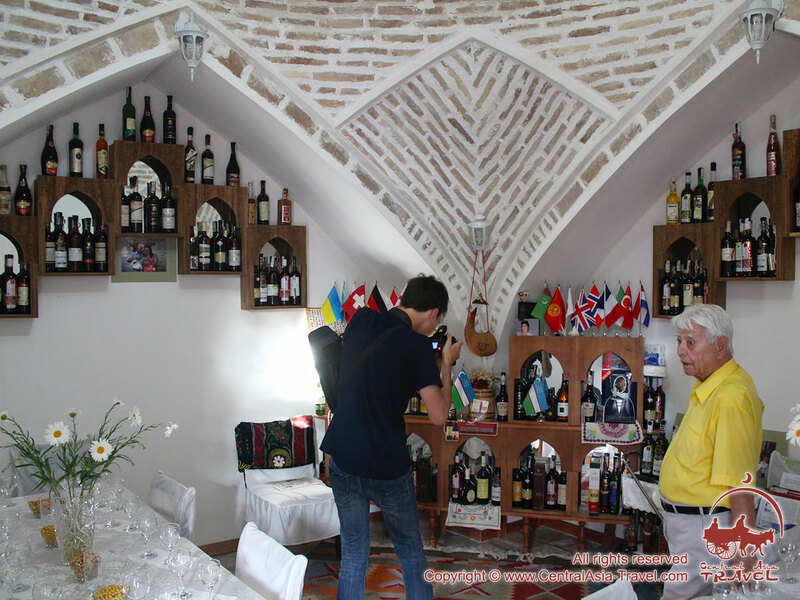 More than 40 travelers - pilgrims, merchants, caravanners, together with accompanying persons, could accommodate under the roof of Nugay caravanserai without any difficulty. 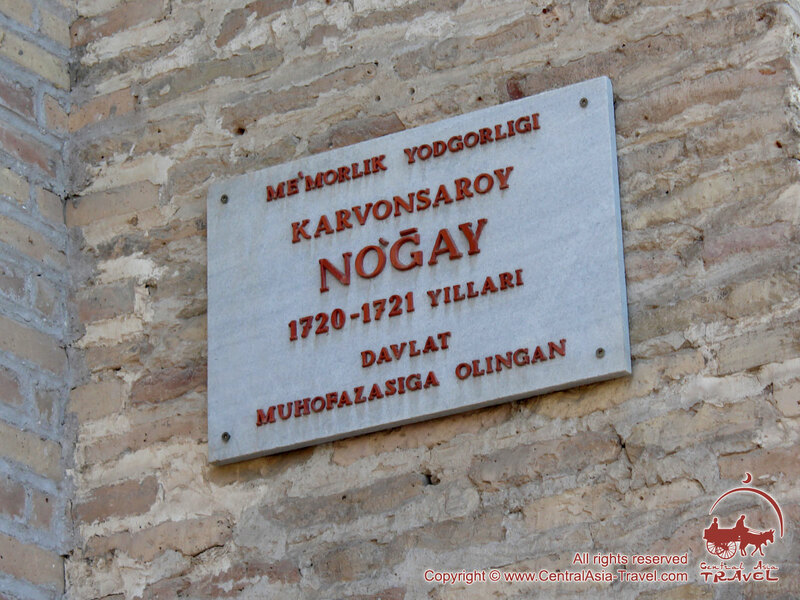 Nugay was not just a victualling-house - it was a place of active trade and business activity. Taking into account, that in old times this place was the last destination of travelling of various beautiful cloths from China and India, it was organized tailoring of oriental robes here, which guests could easily buy. 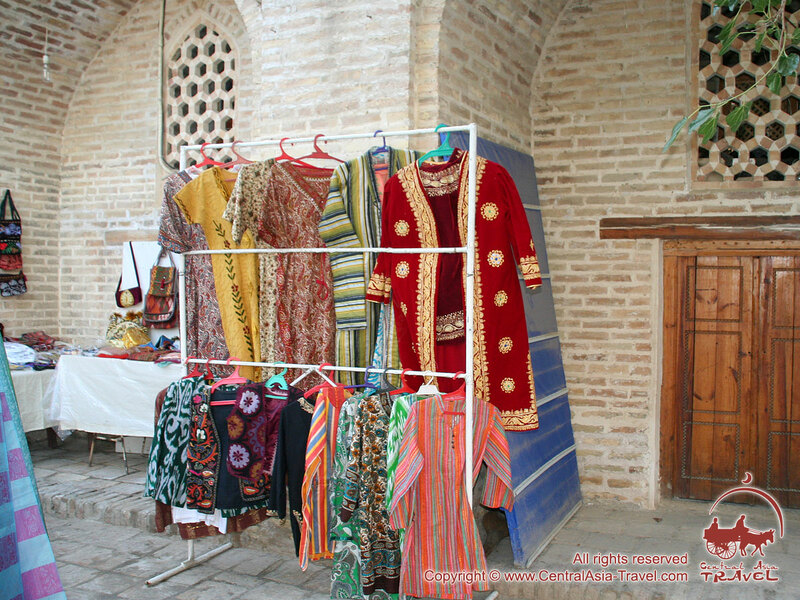 In Nugay it was possible to buy tea and textile goods, delivered here from Iran, and souvenirs, musical instruments, household items, produced by local craftsmen as well. 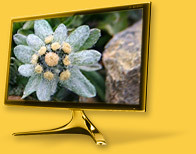 At present days this place has not lost its significance, though it is not used as intended. 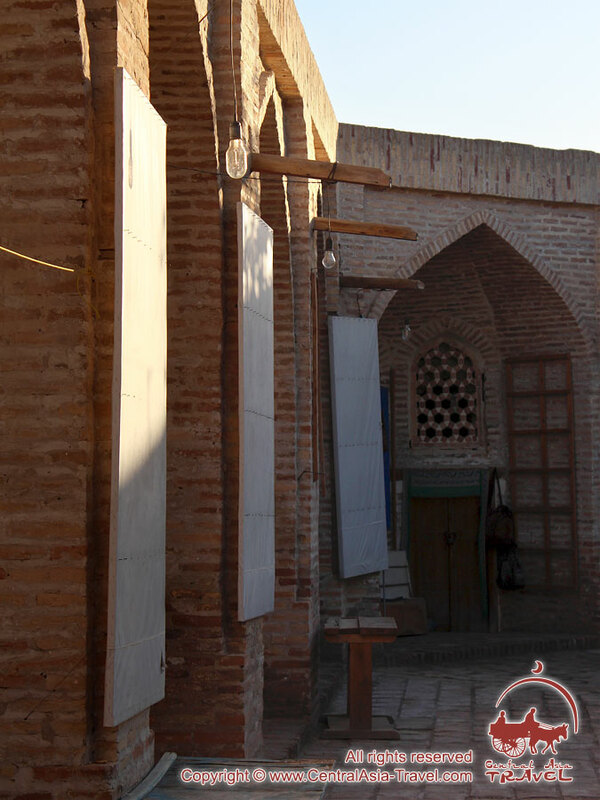 Nugay caravanserai, together with other historical monuments of Bukhara, takes a deserved place in a list of world heritage sites of UNESCO and is being protected by the government. 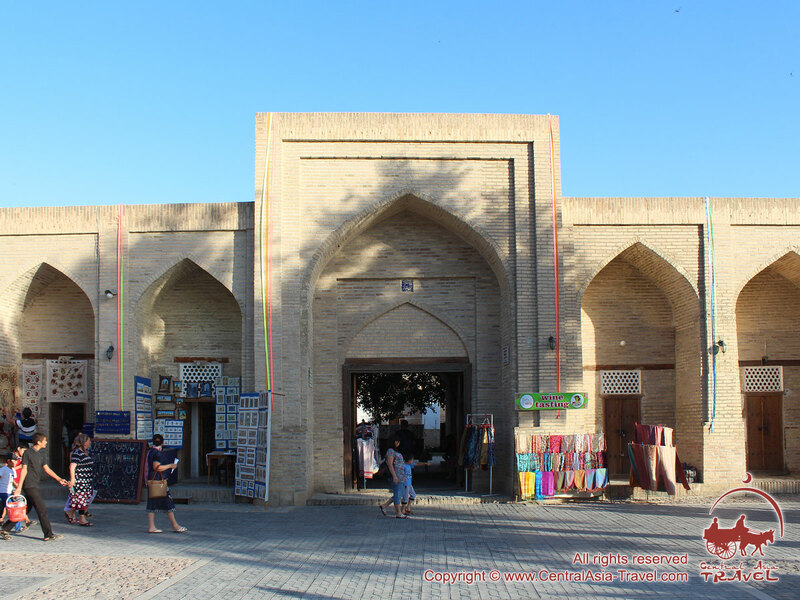 Currently Nugay is being visited by hundreds of foreign tourists and residents of Uzbekistan, who wish to learn history of the Ancient Orient better. 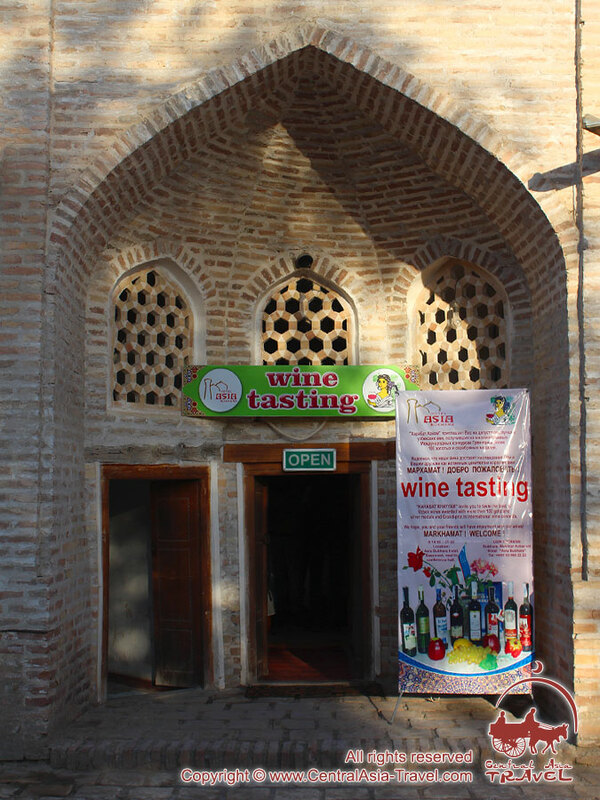 This place is also a central one when it is being held a yearly international festival “From silk till spices” - here its visitors get an opportunity to participate in degustation of the best sorts of wines, produced in Uzbekistan. 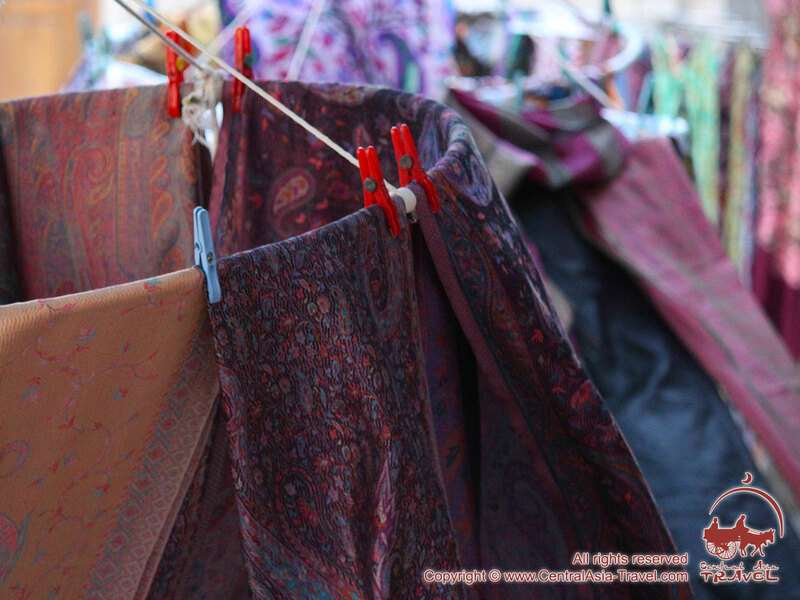 At ordinary days Nugay caravanserai remains a trade house, where one may visit a number of jewelry shops, enjoy elegant works of craftsmen, buy a handmade suzani or homespun carpet in memory.